Two non-governmental organizations held a conference Monday at the Council of Europe on multiculturalism, Islamophobia and discrimination. 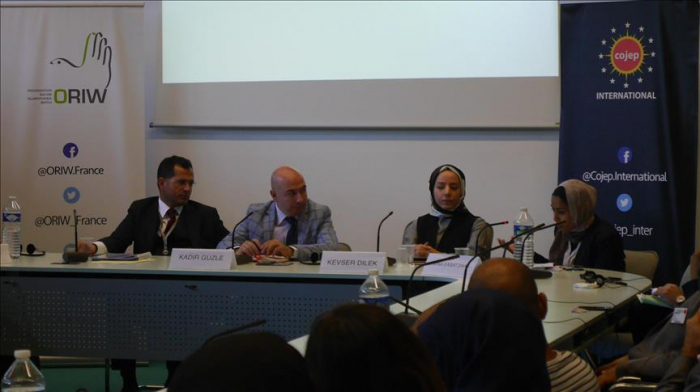 The International Council for Justice, Equality and Peace (COJEP) and Organization Racisme Islamophobia Watch (ORIW) organized the event, titled “Is Multiculturalism in Europe Under Threat?” in the eastern French city of Strasbourg. Held amid the autumn session of the Parliamentary Assembly of the Council of Europe, the head of the assembly’s Turkish delegation, Ziya Altunyildiz, Leeds University Sociology Professor Dr. Amina Easat-Daas, French Equality and Justice Party (PEJ) leader Sakir Colak and news director Elias d'Imzalene spoke at the event. ORIW’s Islamophobia Report Examined in Francophone Regions was also discussed at the conference. The report showed a decline in the number of judicial cases concerning Islamophobia while non-violent harassment increased substantially. During the event, COJEP presented its nation-wide campaign on United Nations reform and the establishment of a multicultural new world.